Born in Gary, Indiana, on August 29, 1958, Michael Jackson was definitely not a regular kid. A superstar with The Jackson 5 before he was eight years old, he became the King of Pop as a solo artist. Michael was a creative—yet deeply troubled—genius who always remained devoted to his art right up until his death is 2009 before a much anticipated tour. He had a pitch-perfect voice and footwork that his idol Fred Astaire admired. Who will ever forget the Moonwalk? Kids today who only know Jackson through video performances are nevertheless fascinated by him. 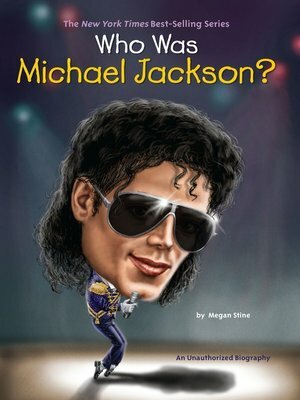 Megan Stine provides a sensitive, fair-minded depiction of this unique music legend. Megan Stine has written several books for young readers, including Where Is the White House?, Who Was Marie Curie?, Who Was Ulysses S. Grant?, Who Is Michelle Obama?, and Who Was Sally Ride?